Polyamory Roadmap is dedicated to anyone willing to explore a variety of new perspectives and possibilities in regards to responsible relationships. Since there is a marked lack of support and resources for people practicing non-monogamous alternatives, we offer our personal experiences, new definitions, and a roadmap for common challenges. Polyamory.org defines polyamory as “loving more than one,” and adds that loving may be sexual, emotional, spiritual or any combination of the three, according to the desires and agreements of the individuals involved. The term polyamory is also used to describe people who are currently involved in one or fewer relationships but are open to more. Intimacy and the nature of the connection between individuals and groups of individuals vary greatly. 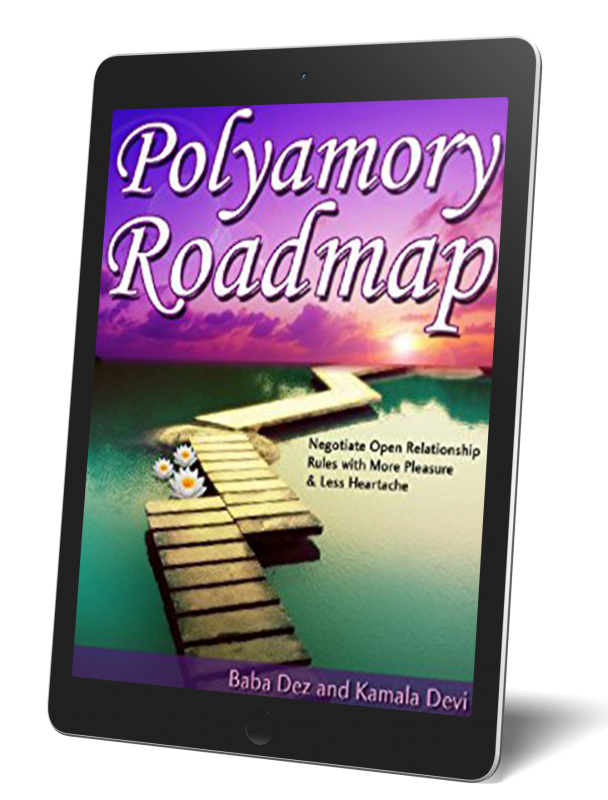 The Polyamory Roadmap emphasizes openness, communication, and consent. Deception or denying problems in the primary relationship by escaping to another lover can be damaging to self and others. There is an art to making meaning where there is none-- AKA-- the human experience.